This magnificent exhibition pays tribute to Cristobal Balenciaga (1895-1972), a man who once said, “what makes a great designer is an architect for construction, a sculptor for shape, a painter for colour, a musician for harmony, and a philosopher for measure.” The couturier of couturiers was inspired by the colour black, drawing back to the folklore and traditions of his Spanish childhood. Black informed the less-is-more approach of this exceptionally skilled designer. The colour is everywhere in his barrel-shaped, balloon, semi-adjusted and tunic lines, not to mention his famous bag-dress. For painter Soulages just like for the master, about whom Dior said that “clothes were his religion”, black is a vibrant matter, whether opaque or transparent, matte or shiny – an interplay of light. His pieces owe their magnificence as much to the sumptuous fabrics as to the apparent simplicity of the cut. Lace highlights, embroidery, a silk ribbon, jet beads and sequins appear here and there. Get your tickets quickly to admire a hundred pieces from the Galliera collection and the Maison Balenciaga’s archives, as the show only lasts until July 16. 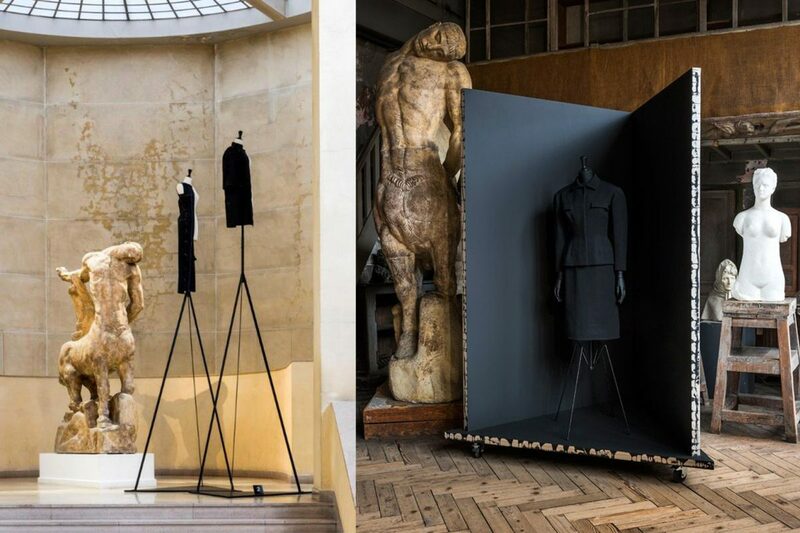 The exhibition is located in the Musée Bourdelle among the latter’s gigantic statues. The museum is a bijou space nestled in a delightful, flowering garden a stone’s throw from Montparnasse. So, don’t miss Balenciaga’s day clothes, evening wear, cocktail dresses and accessories… all black, of course!